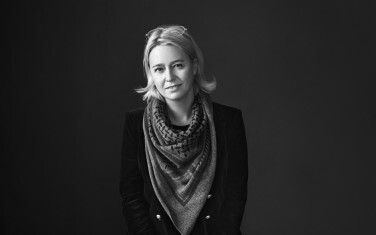 To build and lead the Danish business, EGGS has recruited the experienced CEO and businesswoman Susanne Lund with a background from both the creative industries and the financial sector. She opens the EGGS Denmark office on March 1 at the Rainmaking Loft, Holmen in Copenhagen. Susanne states, "I'm impressed with EGGS' ability to innovate and execute. In collaboration with the clients, EGGS has been involved in 350 new product and service innovations, all of which make a positive difference for people - from helping children take their asthma medicine, giving passengers at Oslo Airport a better customer experience to improving the quality of life for diabetes-affected immigrant women. At the same time, EGGS leadership has managed to build a very strong culture under the mantra 'creating the world's best creative nest', making EGGS a very attractive workplace". 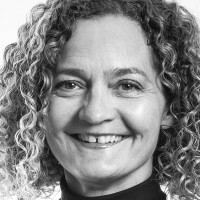 Susanne has been at the forefront of the transformation of Danish agency Konstellation & Republica from a tactically focused retail agency to a strategic full-service agency over the past three years. She leaves the agency in ship-shape - It is both striving and financially sound with a very competent team of employees. In Norway, EGGS Design is particularly known for its business cases in the maritime sector, healthcare, finance and the public sector, but the firm operates across all industries. The market for strategic design, innovation, design thinking and digital transformation is growing and has a great potential in Denmark. The latest industry analysis from the Confederation of Danish Industry (Dansk Industri) shows that in Denmark the consulting industry as a whole has grown by five percent in recent years, while design and innovation as an advisory field have grown by eight percent. In comparison, the management consulting industry in Denmark has a turnover around EURO 2,7 bn, IT consulting just over EURO 5,4 bn, while design only accounts for EURO 400 m. In total, the consulting industry in Denmark delivers a yearly turnover at approx. DKK 155 bn. 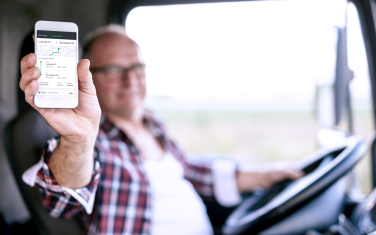 Loadsmart – a radical innovation for booking truck transport of goods that simplifies logistics interactions, which EGGS created in collaboration with their American client Loadsmart. In addition to collaborating with clients on their innovation goals, EGGS also launches their own start-ups via their own company EGGS Garage. The fast-growing strategic innovation and design firm EGGS was founded in 2011 in Norway. In just five years, EGGS has grown to 90 employees with offices in Oslo, São Paulo, Stavanger, Trondheim and now Copenhagen. EGGS has been Norway's most winning design agency for several years and is considered Norway's leading tech-design company focusing on a wide portfolio of services ranging from physical design products, digital tech solutions to service design. EGGS has contributed to design and development of Blueye Pioneer in close collaboration with Blueye’s own innovation teams. 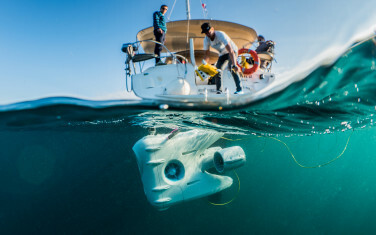 Blueeye is the world's first underwater drone, targeting the consumer market making it accessible and user-friendly to far more people to experience and learn more about life in the sea. Joining EGGS from a role as CEO of Konstellation & Republica. Prior to this, 10 years of experience as Investment Banker in Danske Bank, and 15 years of experience as a business strategist in the creative industries, including 12 years at Bates Y & R as Partner, Head of Strategic Planning, and later Strategic Director. Vice Chairman of the Board of the Danish industry association, Kreativitet & Kommunikation Member of VL Group 45. Age: 50, married, three children, lives in Birkerød. Passion: running, cycling and skiing.